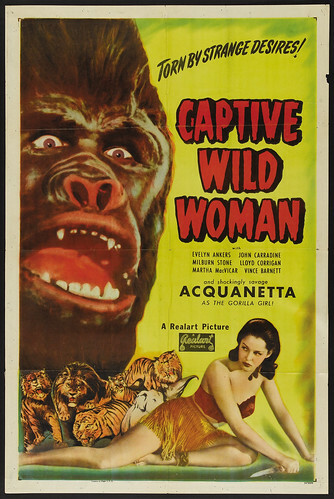 Hollywood Gorilla Men: TORN BY STRANGE DESIRES! 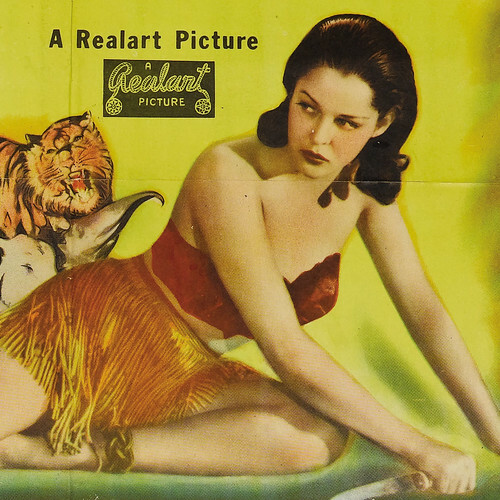 Another great one sheet in grand detail from the Universal B pic, CAPTIVE WILD WOMEN. 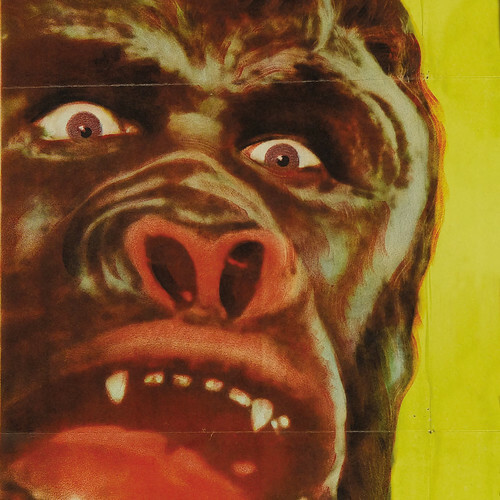 The close up of Corrigan's ape visage is particularly fun! RO-MAN NOT A GORILLA, PUNY HU-MAN! YOU GOTTA LIGHT YA BIG MONKEY? HOW MUCH IS THAT GORILLA IN THE WINDOW? CONDEMNED TO THE CAGE OF DEATH! ENSLAVED BY A GIANT GORILLA ON HER WEDDING NIGHT! SOMETHING WENT WRONG! THIS BIG APE ISN'T ACTING!